This sleek design makes the perfect solution for the everyday warrior interested in practicing stealthy moves. The Shadow Warrior Ninja Sword features a black blade to avoid being seen on missions of espionage and assassination. The sword blade is crafted from 420 stainless steel, making this a very functional weapon for training. 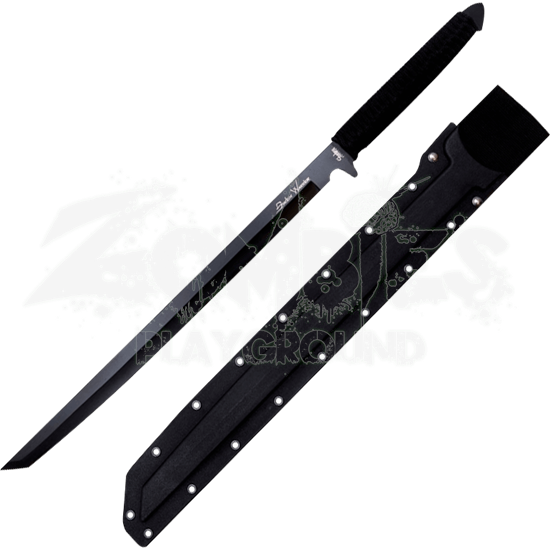 A black nylon wrap surrounds the handle, increasing the comfort of the grip, and the ninja blade fits snugly into the injection plastic sheath that comes with it. Nylon straps make it easy to carry around until the right moment to strike. 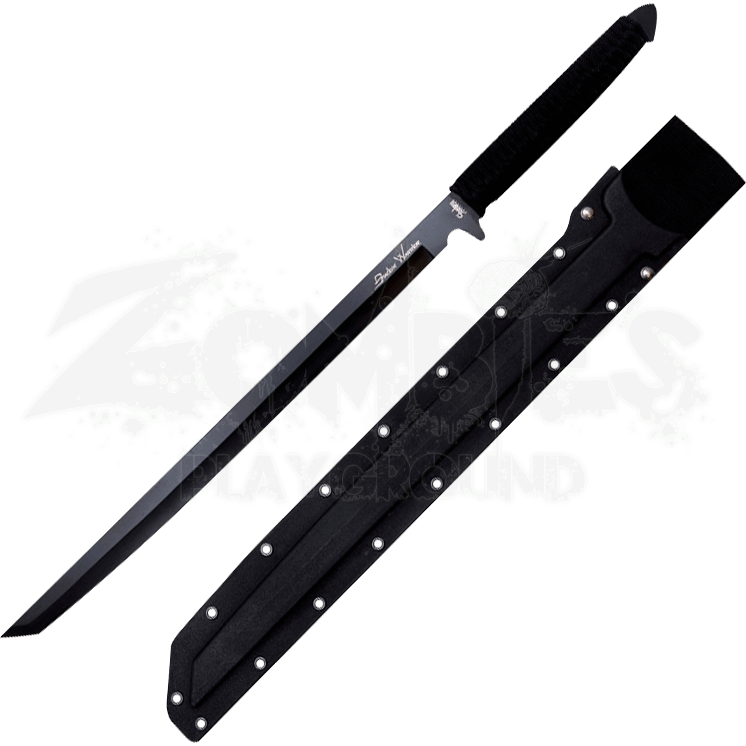 If the legends of ninja and their amazing prowess inspire you, then this ninja sword makes a fantastic option.